Download Free Video Blogger Template is a premium looking and professionally designed magazine blogger theme. 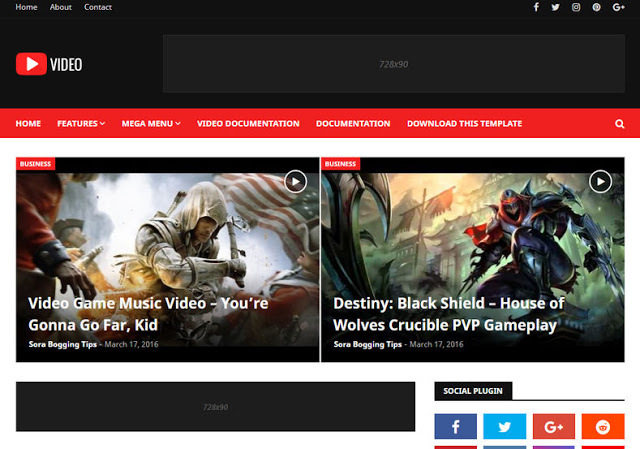 Video Blogger Template is an most powerful Blogger theme for video-based websites. Built upon our seo friendly clean code, biggest video theme on market, Video has more unique features which help you to build any kind of video websites. Whether it is about game, movie, news, entertainment, science. Video can do it!